A Diary From The Road – Day 6: Every Day Better Than The Last! Day 6 for our Drive Home III team was chock full of fun and amazing cars. 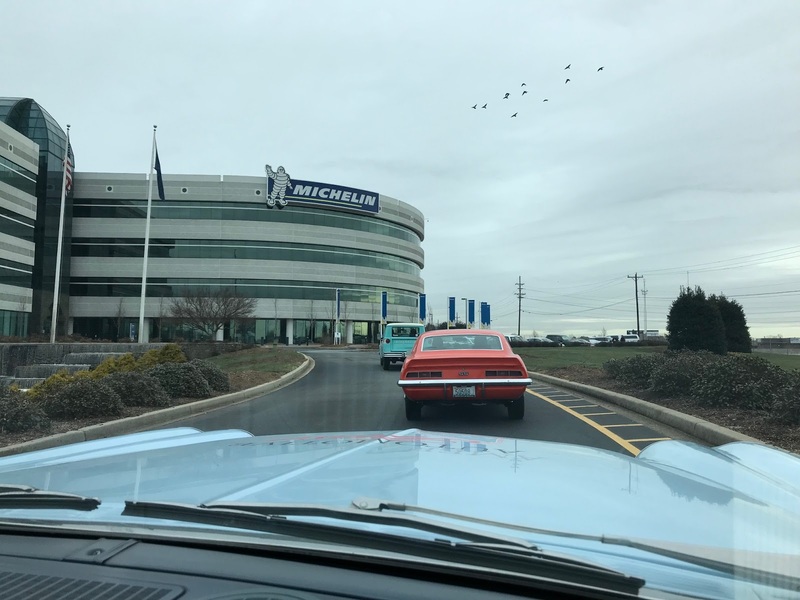 First stop was Michelin HQ in Greenville, S.C., where our hosts gave three of our cars a change to all-weather tires for the last half of our trip. A slight snag came when the new wheels wouldn’t fit the small alignment tab on the Fury. Not to worry, soon Mike and I were on our way to Jackson Motorsports with him driving the Fury and me in the International truck with the replacement tires in the back. Jackson does marketing and events for Michelin, and while the Fury was getting new treads we got an insider’s tour of the high-performance tire world from Jackson’s Lowell Eckart.